Germany. The final days of the federal election and tensions are high as each political party fights through the final push. 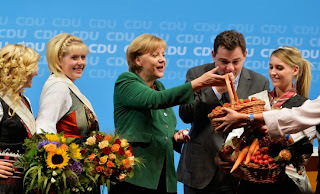 As an interested observer, the opportunity to attend the closing out rally of the Christlich Demokratische Union Deutschlands (CDU) at which Angela Merkel would be speaking was certainly one I could not turn down. Held at the Fischmarkt in Hamburg yesterday evening, Chancellor Merkel addressed a full house, with some 4000 people in attendance. Her arrival, heralded by uproarious applause and cheers, confirm her star status within the party, and after a brief interlude of cheerful banter with the moderator Merkel took the podium, she was there to make a sell to voters and wasted no time. Her address focused on the power of voters, the power and importance of their choice. Come Sunday Germany has the choice between different politics, different values, different futures. 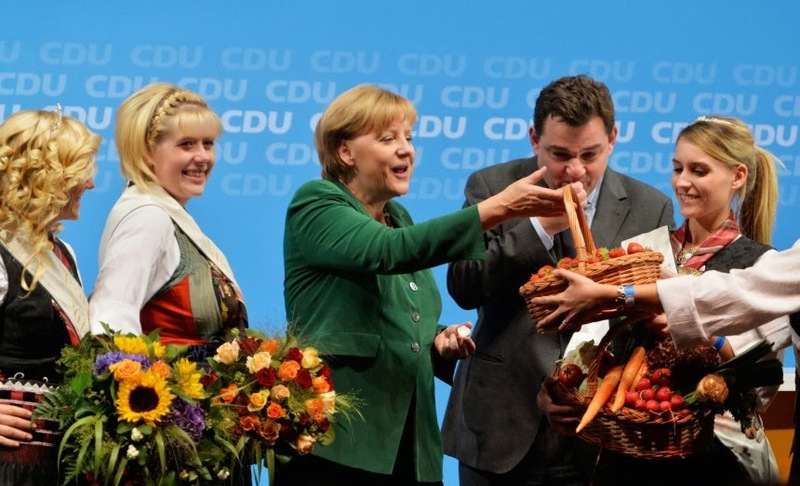 Naturally, she sold the choice of the CDU, and proceeded to outline successes the party has made in the past four years. Among these successes: improved unemployment rates, more opportunities for education and technical training, an adjustment of Mutterrente to acknowledge the contribution made to society by mothers of earlier generations. But choosing the CDU she said is not only about the successes of the past four years, it is also about the strategies for the future. To remain a major figure, both within and beyond Europe, Germany needs to continue to innovate, invest in research and education, and support its entrepreneurs. Absolutely there is work to be done, but her tone was one of promise, of possibility. It was late in her speech when Merkel turned to the topic of Europe. Here her stance was clear – Germany must hold the course. Germany’s continued commitment to help its friends is necessary, that said she was quick to add that Germany had every right to expect those receiving assistance make meaningful changes to their financial systems. Her assertion of a CDU rejection of the possibility of mutualizing European debt was well received, and was perhaps the most definitive statement on what we could expect should she become Chancellor once again. The future of Europe is before us, and there are many difficult choices to be made, I was hoping for more concrete engagement with these questions, but perhaps we will have to wait for the results on Sunday. To close Merkel returned to the theme of choice. Voting communicates the choice of the voter and her non-partisan message was get out and vote, full stop. Speaking as Chancellor and leader of the CDU she urged her supporters to give both the first and second voice to the CDU and to tell their friends. Talk to your friends about what was discussed here tonight, reflect on what you’ve heard. Lightening the mood she added, should anyone ask how she was, the answer should be ‘tired’. Merkel has faced many long days, and regardless of the results on Sunday there are many long days ahead for Germany and Europe. Emma Tunney is a Bachelor of Arts Honors, Political Science and German of the University of Alberta (Canada) and an intern at Open Europe Berlin as part of the „Berlin Initiative“ supported by the Canadian Embassy.